This cake is a family favorite and go-to recipe when we want a chocolate cake. It is rich and moist. This is the base we use when making Mississippi Mud Cake. Sift together flour, baking soda, and salt. 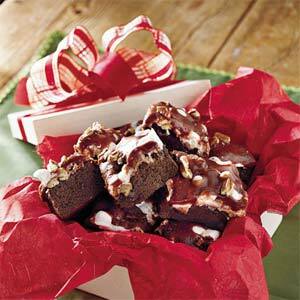 Gradually add to chocolate mixture alternately with sour cream, beginning and ending with flour mixture. Beat at low speed just until blended after each addition. Gradually add 1 cup hot water in a slow, steady stream, beating at low speed just until blended. Stir in vanilla.